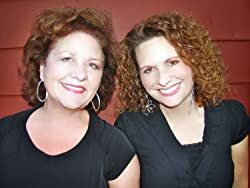 A native of Alabama, Jennifer writes with her fearless writing partner, Sandra Poole, who also happens to be her mother. They have written eight novels, one collection of short stories, and a children's book called THE HUMONGOUS FUNGUS, written under the pen name of Periwinkle Blue and illustrated by world renown portrait artist, Michele Anderson. Jennifer loves cooking, spending time with family, and occasionally breaking away from her hectic life to take spontaneous trips to exotic and sometimes not so exotic locations. She couldn't survive in a world without chocolate, good books, family, and friends. She now lives in the Rocky Mountains where she and her mother continue to write together. Please enter your email address and click the Follow button to follow Jennifer Youngblood!